 Demeco Ryans is in his second season with the 49ers and first as the team’s inside linebackers coach. He served as a defensive quality control coach in 2017. Originally drafted in the second round (33rd overall) by the Houston Texans in the 2006 NFL Draft, Ryans played for Houston (2006-11) and the Philadelphia Eagles (2012-15). He appeared in 140 games (139 starts) and registered 735 tackles, 46 passes defensed, 13.5 sacks, 10 fumble recoveries and seven interceptions. During his 10-year career, Ryans was named AP Defensive Rookie of the Year and PFWA Rookie of the Year in 2006, First-Team All-Pro in 2007 and was selected to the Pro Bowl in 2007 and 2009. A native of Bessemer, AL, Ryans played linebacker at the University of Alabama (2002-05). As a senior, he was a unanimous All-American selection, SEC Defensive Player of the Year and earned First-Team All-SEC honors in 2005. Ryans also earned defensive MVP honors in the 2006 Cotton Bowl and was selected as the 2005 Lott Trophy recipient for his combination of athletic excellence and off-the-field achievements.